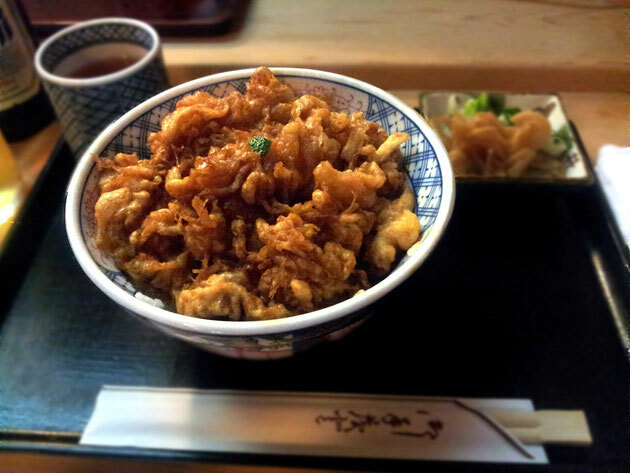 This is a deep fried tempura bowl called Kakiage-don, served only during the lunch time at Tenshige. The kakiage, consisted of shrimps and scallop eyes,　has strong and resilient texture covered with crunchy batter fried right in front of you. You just can't forget the texture and the taste of the sauce!